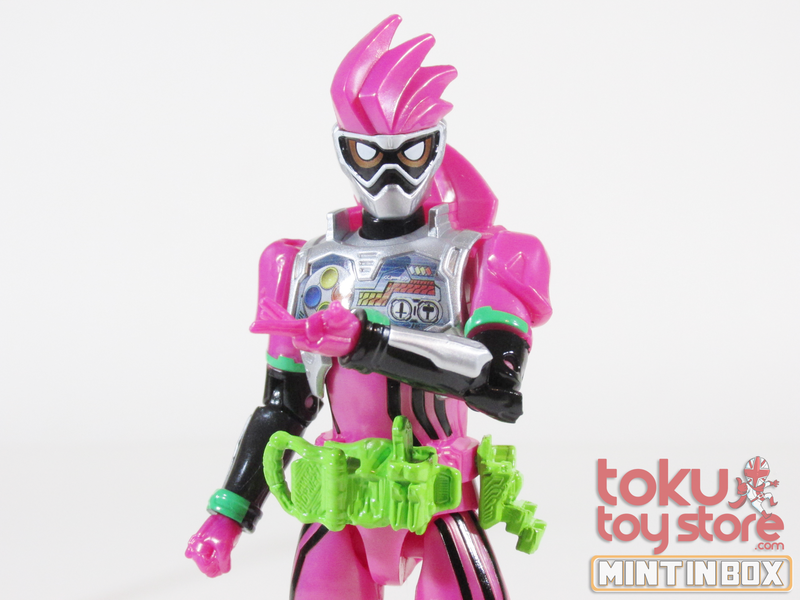 The Rider Kicks Figure series is latest in a long line of budget gimmick figures. This year’s line of Legendary Riders takes back to the long-lost past of 2016 with Kamen Rider Genm! Aspiring God, Kuroto Dan (檀 黎斗), is the CEO of GENM Corp, Undead Bugster, and comedy heel who acts as both serious and goofy antagonist to the doctors of the CR. 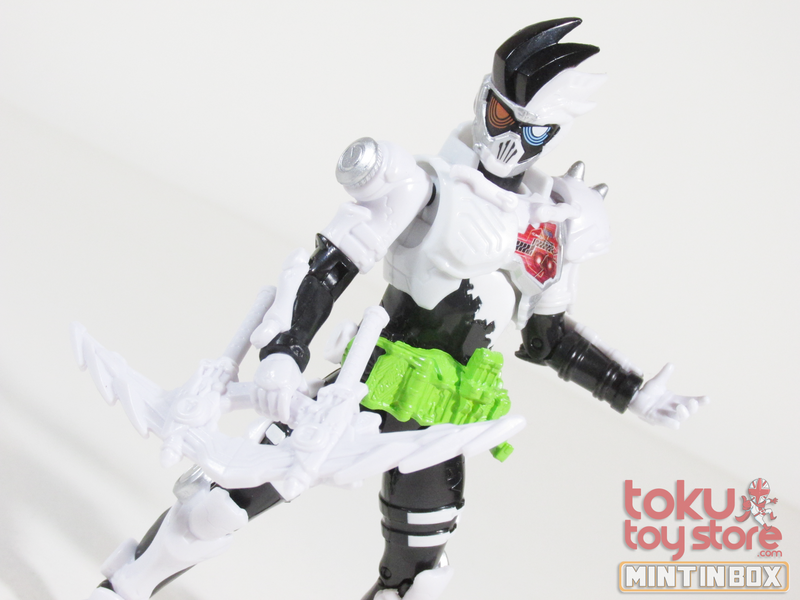 Using the Proto Mighty Action X and Dangerous Zombie Gashats, he becomes Zombie Action Gamer Level X-0.